ATW-R2100b receiver. 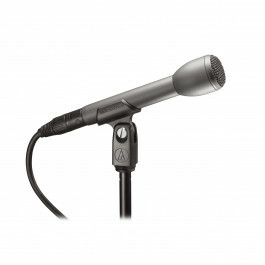 ATW-T220a handheld cardioid dynamic microphone/transmitter. Automatic frequency scanning. 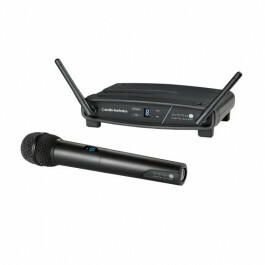 Up to 10 user selectable c..
24-bit / 48 kHz Digital wireless system, combining excellent sound quality and reliability. 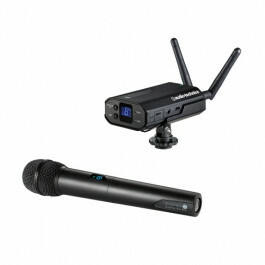 Frequency range 2.4 GHz, operating outside of D..
Long handle is ideal for interviews/sports broadcasting. Omnidirectional polar pattern provides natural reproduction. Rugged housing w.. 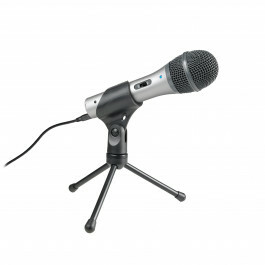 Ideal for interviews, sports broadcasting and as the “mono” mic used with a stereo microphone. 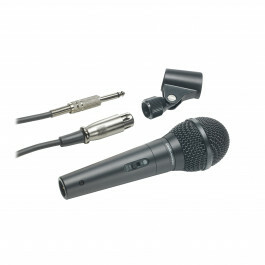 Omnidirectional polar pattern provides..
Professional sound quality for vocals & instruments. Focused pickup helps prevent feedback. 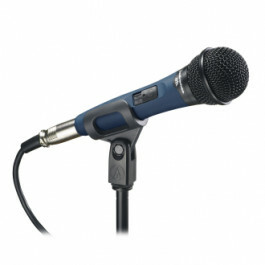 Rugged metal construction for long-lasting..
Handheld dynamic microphone with USB digital output and XLR analog output. USB output connects to your computer for digital recording, wh.. 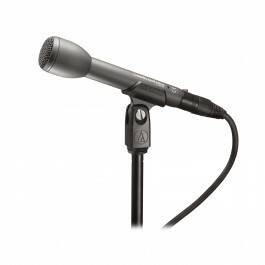 The AT8031 is ideal for close-up interviews, vocals, overheads, piano, and strings. Its cardioid polar pattern reduces pickup of sounds from.. 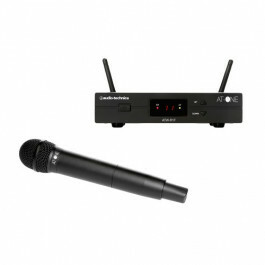 Introducing AT-One, Audio-Technica’s entry level UHF wireless system. 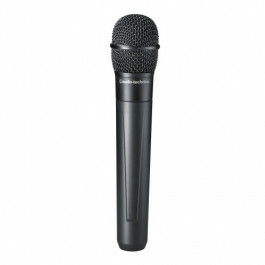 With a 2 x 4 channel frequency plan for enhanced flexibility, sturdy.. There are many reasons for the universal praise the AT2020 has inspired. 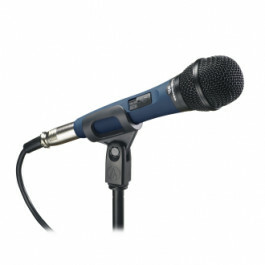 A-T’s renowned quality/consistency standards are evident in det..
High-output design for vocals that cut through the mix. Cardioid dynamic element design. Rugged all-metal construction. 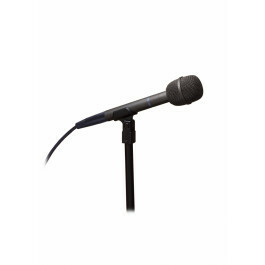 Hi-ENERGY®..
Standout performance microphone for lead, back-up and choral vocals. 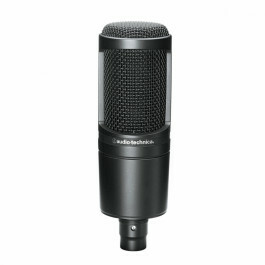 Extended frequency response for optimal vocal reproduction. Hyper..